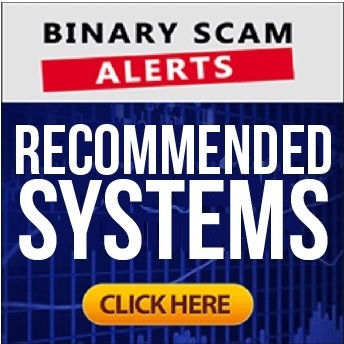 Binary Scam Alerts » Scam Reviews » Crypto Trader Review, SCAM CryptoTrader Software Exposed! The CryptoTrader (AKA Crypto Trader) software and trading robot (not to be confused with the HYIP broker with a similar name) by David Richmond the fake Self-Made Multi Millionaire and CEO of Richmond Ventures is a BLACKLISTED SCAM. In our honest and impartial review and investigation we will demonstrate, provide proof, and produce conclusive and indisputable evidence which validates our initial premise.The facts speak for themselves, and what we have stumbled on is a bona fide financial scam which is currently being promoted online by unethical affiliate marketers. Here’s a fair warning, the people peddling this filthy thieving app are professional con artists who primarily use SPAM email marketing to target their victims. Based on this fact, we highly recommend you refrain from clicking on any links you may receive and immediately unsubscribe from their service. We have also received complaints about viruses infecting computers and devices, so please just mark the message as spam or phishing and move on. We understand that some of you may believe Crypto Trader is genuine or legit, but it is not. So don’t be tempted, misled, deceived, or let yourself be cajoled into funding a trading account with a sleazy and unregulated offshore broker. Keep reading to see how we exposed Crypto trader and why we believe it is a confirmed investment scam designed to steal your money. Quick Update: The Crypto Trader Software has recently been relaunched and the complaints are mounting. Please be super careful. Below you will see Richmond saying that there is “absolutely no risk involved” with his software and that it is “mathematically impossible to lose”. We have heard these kinds of claims before and every novice trader starting out knows that even the best software absorbs some losses. This paid actor is lying through his teeth and it’s not a very convincing performance to say the least. Secondly, this domain was registered about a week ago. This contradicts everything Richmond says about having a group of traders which have used the software for a while and are now millionaires. Finally, we have a picture taken from an image bank named 123RF. One of the so called “new millionaire traders” is nothing more than an image bank actor. 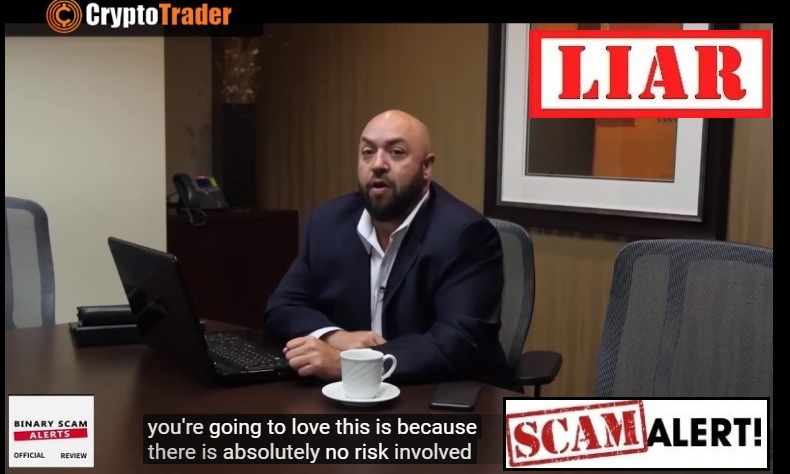 We have a zero tolerance policy for this type of false advertising as it is very effective at baiting and tricking innocent opportunity seekers looking to cash in on a legit system or trading tool. He is supposedly a self-made millionaire and the owner of this software. When he was a child his parents took him to see an uncle who is referred to as “crazy Arthur”. This uncle lived “smack in the middle of no where” and his house was packed with books. Richmond received two books about spies, ciphers, and code breaking. These books prompted his lifelong “passion for cryptography”. At some point he was offered a job at the NSA’s digital counter intelligence division to help with pattern detection and code breaking. After 15 long years he left the intelligence community and started spotting market trends and identifying profitable market conditions, and that’s how the software was created. David Richmond is promising us that by clicking 5 specific things you can boost your income by $5,000 each and every day. He is saying his software is guaranteed to win because if it spots even the smallest amount of risk it will not take the trade. He claims his software has a 100% success ratio because it is able to analyze data at the “deepest level in the fastest possible time”. Now we start with the fake reviews and that’s when “Sasha” from Greensburg and “Peter” from Cleveland tell us how this software transformed he lives. Then he starts explaining why time is limited and when they go public (IPO) and become even richer the software will not be for free so you have to take action now before it’s too late. Actually it is not, and that is another lie. You have to fund your trading account with at least $250, and that money will be charged to your credit card by one of their cheating offshore brokers. This is a classic financial scam and not very sophisticated. We have identified all the pieces of this puzzle and the picture is very clear. We are witnessing the classic tell signs such as hyped-up or exaggerated claims of easy money, inflated bank accounts, fake testimonials, and outright lies, half-truths, and fabrications. To top it all off, this app has nothing to do with crypto-currencies such as Bitcoin or Ethereum. It’s just a ploy to get you signed up with a binary options broker. We have yet to see any of those, it seems the entire trading community is in agreement about this fake trading robot. Still, based on our previous experience we are sure this will change so be very careful and skeptical because there are sure to be “ethical websites” which will publish fake reviews. The hot scams to watch out for are Maverick Forex and Quantum Code. If you are deliberating about which system is right for you then you are not alone. Fortunately our staff of diligent researchers has compiled a short list of consistent money making apps. These are all proudly showcased in our recommended section. The Crypto Trader software and trading robot by David Richmond of Richmond Ventures is a SCAM. We blacklisted this phony software in our detailed review because we believe it is dangerous and steals money. The results and accuracy levels are so low that we blew our money in about 5 minutes when testing the software. We also produced clear-cut evidence to back up our claims, so to deny that evidence would be futile and very similar to burying your head in the sand. We believe the criminals behind Crypto Trader are not ethical businessmen, and will fleece your wallet if they had the chance to do it. Interestingly enough, we were contacted by these crooks and they asked us to promote their garbage – we said no on the spot and cut off our communications channel with these crooks. To reiterate, we believe there’s nothing legit or genuine here, so we had no choice but to blacklist this fake trading robot and refer our members and subscribers to alternative investment avenues. Don’t forget to join our Facebook page and Subscribe to our YouTube Channel and get updated.